One of the most challenging rooms for an interiors photographer to shoot is a powder room. I find them a challenge but in a good way. 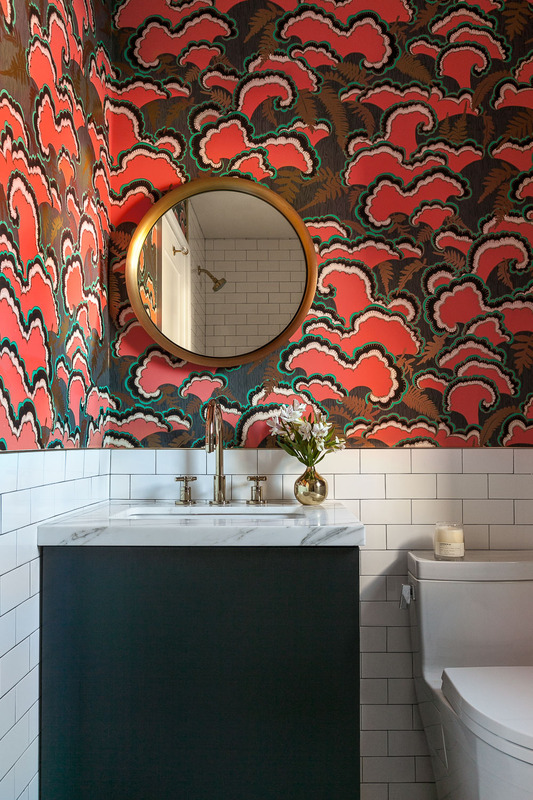 Powder rooms lend themselves to flights of fancy for designers. They are an opportunity to use bold wallpaper, lux fixtures, and have a bit of fun. As the photographer, how should I record this bold, yet small room and do it justice with limited access and angle options? My goal in every interior shoot is to showcase the designer’s creativity and design aesthetic while providing them with beautiful images of their design work to share with editors and prospective clients. They may be limited. Can a tight detail, rather than an overview shot, tell the story? Consider focusing on the main event -the vanity. 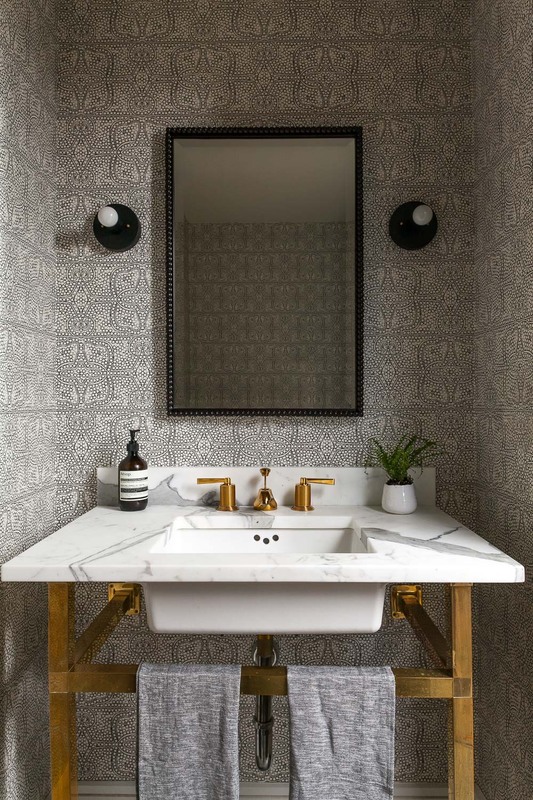 It’s hardware and accessories, and often the wallpaper as the backsplash can tell the viewer a lot about the room without showing the entire space. Sometimes a straight on, or a single angle shot will do the job. This is a chance to use a semi-wide-angle lens but that may not always be the best answer to the challenge of a small room. Wide lenses create less intimate shots. The tight shot may be the ticket here. Experiment with your photographer about lens options. How far back you should go to capture the right shot? 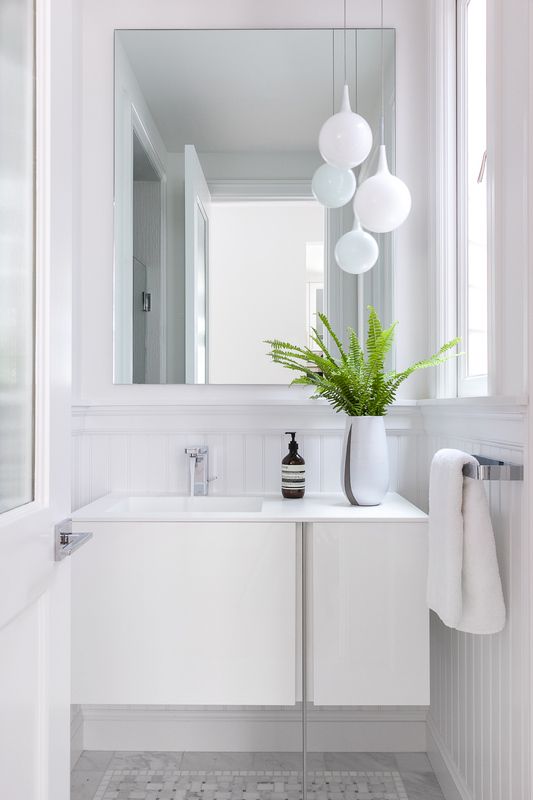 Start to approach a powder room (or small room) before you even get in the door. Will looking at it from the hallway lend it to great photo options? How it is framed can be used for setting the stage. 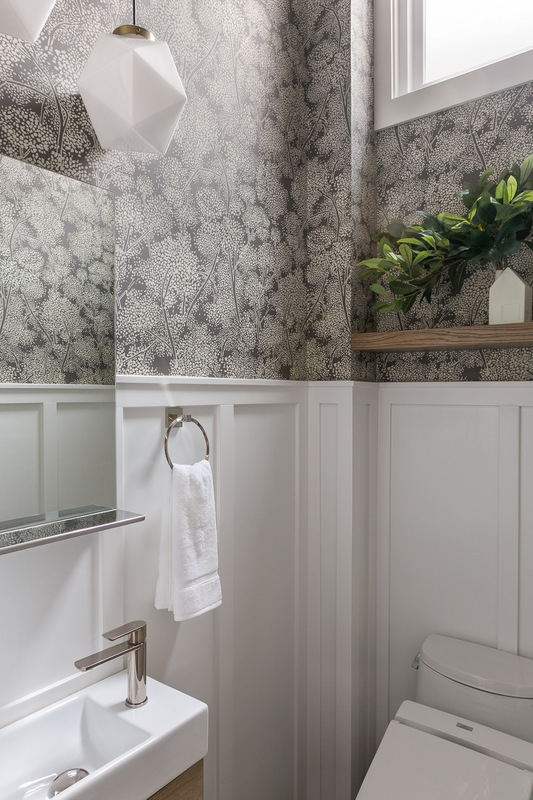 A shot of the powder room framed by the door and seeing into the room can be quite effective. The take away: Though small rooms can be challenging to document, think about the angle options from the perspective of a person walking up to and into the space. What will they experience at each step of the process? The approach, the entry into the room, the surprise and fun of experiencing its design, and the use and functionality of the space. Keeping these tips in mind will make deciding on your angles much easier and provide a wider range of options.